How to Give Your Home a Modern Feel - Your No.1 source of Architecture and Interior design news! Modern designs seem to be generating a lot of buzz in the design world nowadays. You may have seen a couple of designs which have inspired you to create a modern feel in your home if it doesn’t quite have one. There are many ways that you can design your home make it more modern as well as contemporary. It often means ensuring you have a clean and neat layout in addition to statement pieces. You should also know that color schemes play a major role in a modern design. In case you’re looking for a few general tips on how to give your home a modern feel, this article is going to explore three. You’ve probably heard a lot of noise about rustic lately, and that’s because it happens to be a popular design trend at the moment. 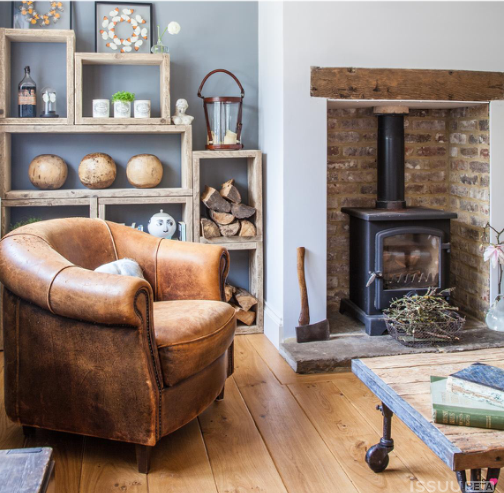 When trying to give your living room a modern feel, you should therefore explore including rustic looks in your design. For instance, you could explore using natural fiber rugs and a seventies sisal tapestry. You could also add textural pieces to create a more cozy feel. Other tips for creating a rustic and modern design are balancing sleek modern furniture with exposed rustic materials. Large windows which allow natural light in can also add an ideal finishing touch. Overall, when you talk about rustic modern designs, they are usually inspired by farms, warehouses, and industrial buildings. When designing your home to give it more of a contemporary feel, your bathroom should also be transformed. You can do this by adding accessories such as statement mirrors and a shower seat if you happen to have a walk-in shower. If you can’t stand for long periods, this may be ideal as well as it enables you to sit down comfortably. You could also find out more about other accessible bathroom options on Mobility Plus so that you can incorporate this into your design. Bathroom accessories have also become more sophisticated especially with the emergence of technology. For this reason, perhaps consider using technology in your bathroom to make it more modern. Some ideas for technology to add to your bathroom are a modern bathroom with floor lighting, a wet room with hidden shower fittings, and adding a vintage style radio. In modern design, simplicity is key. You should, therefore, remember to try not to clutter your space and strategically arrange all of your pieces. You should also remember when decorating to include minimal artwork and accessories, so instead of having too many pieces, choose a few statement ones. Functionality is also important, so make everything accessible and consider smart technology as well as and streamlining all of your technology. Creating a modern home that meets your standards and expectations is something that may take a little time, but it’s definitely achievable. While exploring different design ideas, think about ways to make them your own. Being modern has a lot to do with being able to express yourself through art and design, so ensure your home is a true representation of who you are.